the louvre is a feat of beauty and architecture, yes, but it’s not the only great museum in paris. I love museums. Always have. My favorite field trips as a kid were when we got to spend all day marveling at things and learing, otherwise known as visiting museums. As an adult, part of the reason I loved living in Washington, DC was the access to tons of free knowledge via The Smithsonian Institute and its cadre of museums about everything from sea life to American wars. 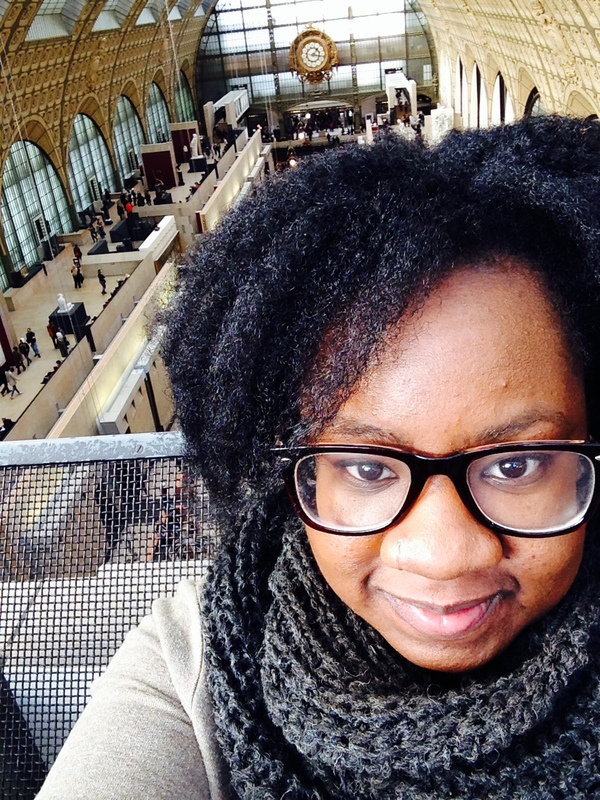 A big part of visiting any major city is experiencing the museums and Paris is no different. There are tons of famous ones in the City of Light, but none as famous as Le Musée du Louvre, where the famous Mona Lisa sits. Spoiler alert: I wasn’t all that impressed with the piece and the louvre isn’t my favorite museum in Paris. So, I decided to give a brief rundown of the museums I love in Paris, in the hopes that it might give someone the confidence to skip some of the more famous ones and spend some time at the lesser-known, but very awesome museums. 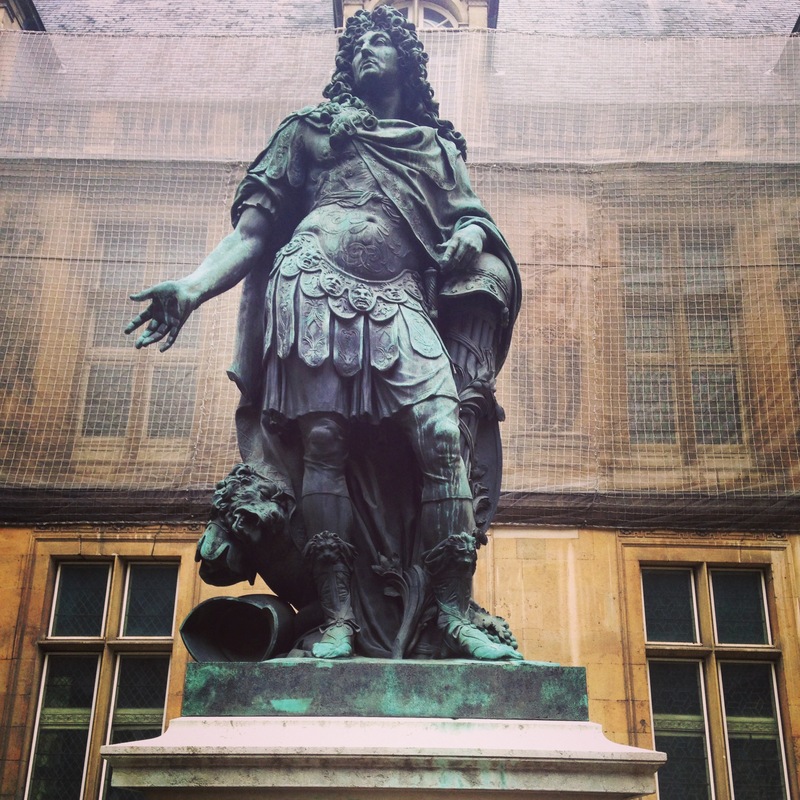 If you’re a complete and utter Paris-o-phile, try Musée Carnavalet. This relatively tiny, free museum in the middle of the coolest neighborhood in town was really fun for me, as someone who is enamored with both style and history. It traces the history of the city of Paris all the way back to its BC roots. There are beautiful rooms recreated in the styles of the day, from the 17th century forward. Thing I didn’t like: Everything was in French! A friend told me that there is a booklet you can get with English explanations to guide you, so look for that if you go. 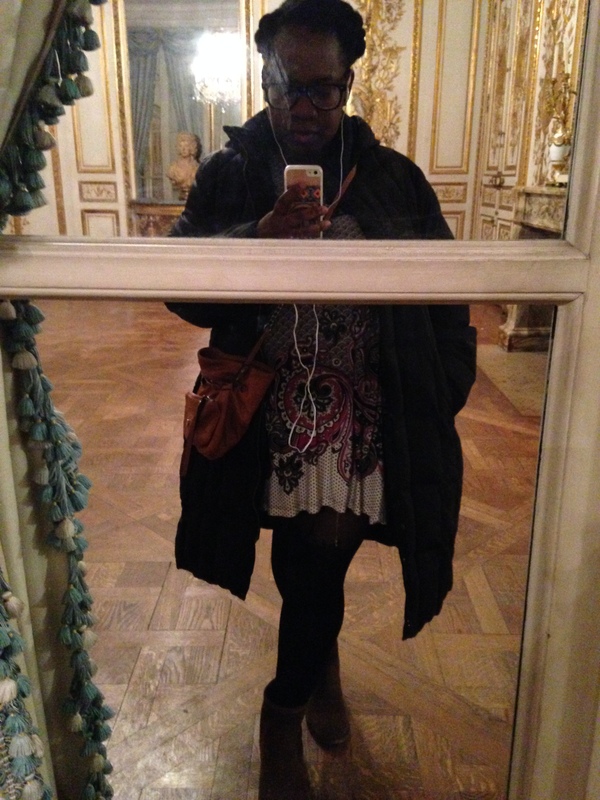 Selfie in one of the beautiful re-created rooms of Musée Carnivalet. If you love immigration, migration and learning about the movement of people, try Cite Nationale de l’Historie de l’Immigration. It’s 10 euros unless you go in the winter on the first Sunday of month (aka free museum day), but well worth the money. It’s a museum with a story that is wonderfully told through images, sound, re-creations and text. 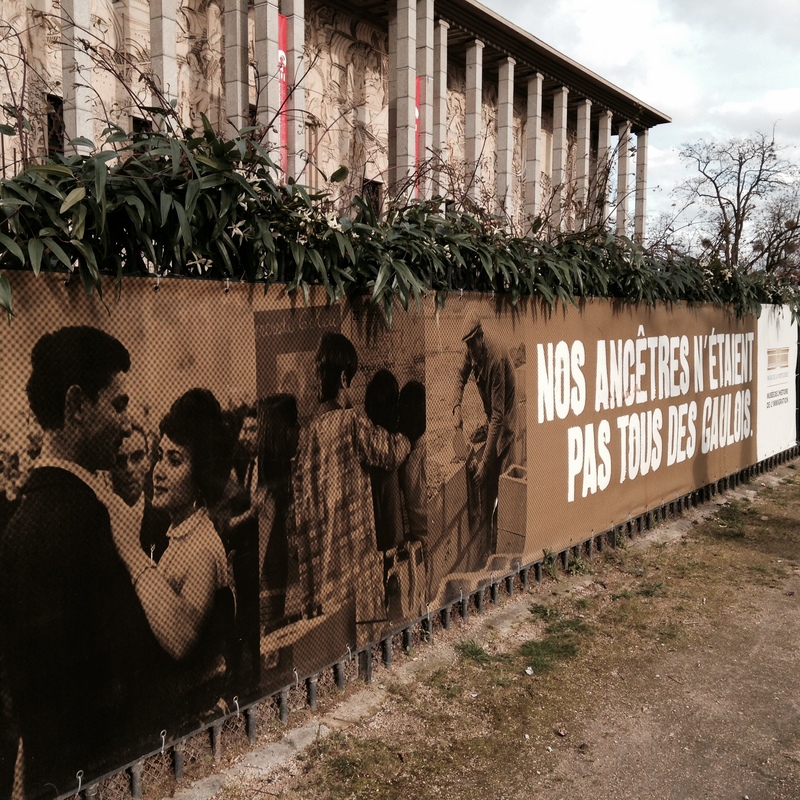 For me, the subject matter in this museum (immigration and all of the non-Gallic people who have populated Paris, including lots of African-Americans) is the most interesting of all the museums in the city. You really get a feel for the different groups of people who have made the city what it is today—diverse, modern, smart, fashionable and ever-changing. Things I didn’t like: Nothing. Seriously, my favorite museum in the city. If you love modern art and photography, try Centre Pompidou. I can’t really say a lot about this museum because, unfortunately, I never got to go. It was always on my list because while I am not a lover of art, the art that I kind of like is modern. However, I’ve heard nothing but good things about this place and it is included in the free, first Sunday admission during winter months. Go and let me know what you think! If you love classical art, architecture and tons of statues, try Musée D’Orsay (11 euros) or Musée du Louvre (12 euros). Honestly, I can only take so many classical statues until they all start to look the same. I can “oooh” and “aaahh” over the first, maybe, three. After that, I’m ready to see some variety. So, I am not the best person to talk about classical art museums. Look at that beautiful museum behind me! Like, really, breathtaking. However, I will say that both of these museums are lovely in their own right. My personal favorite was Musée D’Orsay because the building is absolutely beautiful and there’s a great view from the top. Le Louvre is, obviously, a fantastic bit of architecture and the collections are amazing. If you’ve been to Paris already, chances are you’ve seen the Louvre. If that’s the case, skip it and see Musée D’Orsay. 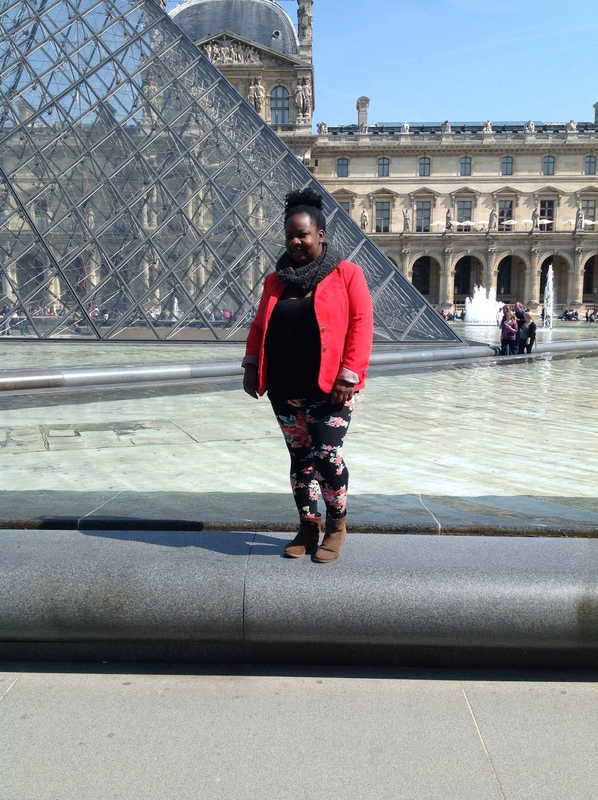 If you haven’t seen the Louvre, I’m sorry, but you kind of have to experience it. It’s one of those over-hyped tourist things that is actually worth it. If you love culture, history and don’t mind a teeny dose of colonialist curation, try Musée Quai du Branly (9 euros). I really enjoyed certain aspects of this museum, which offers a very, very generalized rundown of native and primitive cultures on all seven continents. It was the first museum in Paris I visited that wasn’t an art museum, so there was some initial relief in not having to find beauty in stuff. It’s very neatly divided into rooms that represent the big regions of the world—Six continents and then Australia and New Zealand are grouped together, I believe. There’s information about how early cultures expressed themselves—artisan objects, dress, tiles, jewelry, that kind of stuff—and its pretty interesting to walk around and check it out, although nothing is really amazingly insightful or different from the things you’ve learned about these cultures already. If you’re really into ancient depictions of Mary and Jesus and/or tapestries, try Musée de Cluny (8 euros) (formerly known as the Museum of the Middle Ages/Musée du Moyen Age). Honestly, a huge letdown. I have no idea what I expected from a museum dedicated to the middle ages, but I got a TON TON TON TON TON of carvings of Jesus on the cross, an equal measure of Mary and Jesus as a baby and lots of rugs and urns. It felt very much like the same thing over and over (with the “thing” being insanely recognizable and unoriginal already). I wouldn’t recommend it to anyone who isn’t very, very, very interested in Jesus statues. So, the museums that I know about. Not comprehensive or definitive, but maybe helpful? You tell me. What are your favorite museums in Paris and why? I love museums too. They are my fave. This is great list. Thanks for the insight.